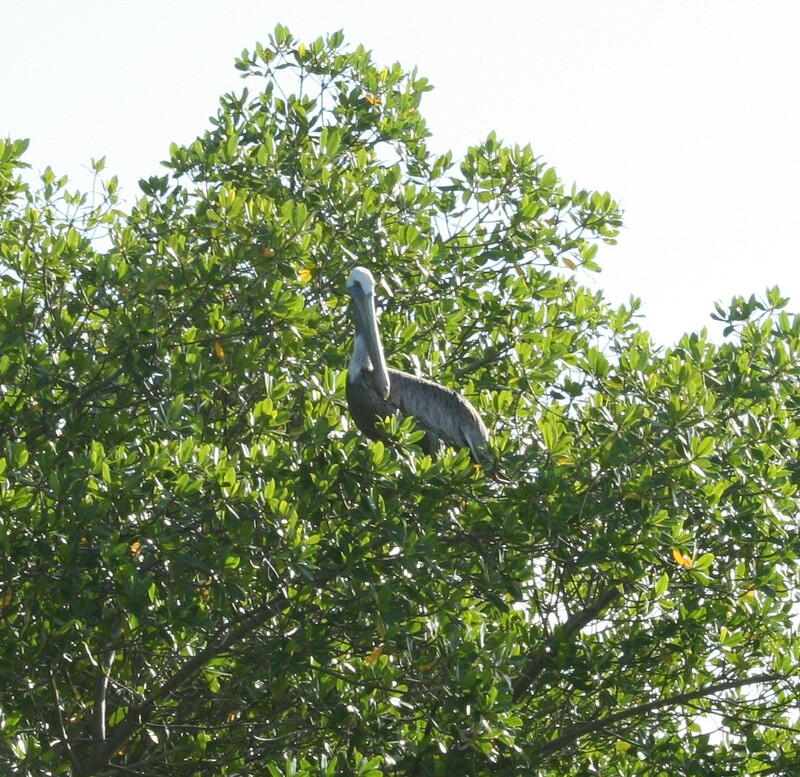 ← Play In Nature………….Key West Style! What a FABULOUS Day! 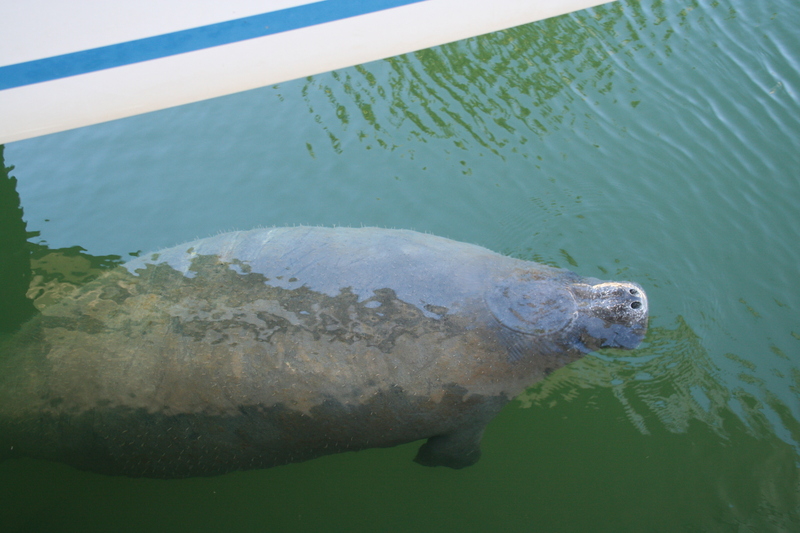 Manatee Encounter! We looked down and there it was! A Manatee! The last time we were in the Keys I was on Manatee Watch the entire time! Everytime I looked into a canal I looked for manatees. This time I kind of knew I wasn’t going to see one so I let it go and went about having a great time anyway. So yesterday we went to meet with Barbie ( a friend of my daughter Victoria’s from TWITTER) They had been talking back and forth and Barbie wanted to show us around her part of the world. 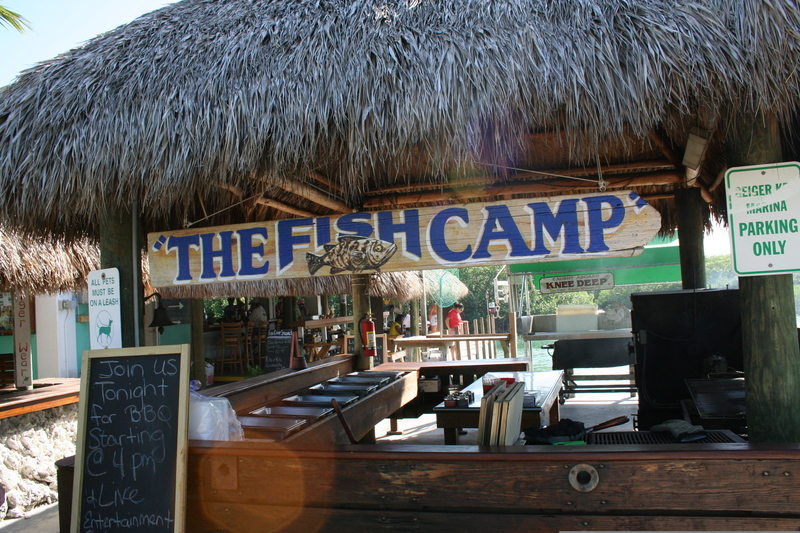 So we met her at The Fish Camp at Geiger Key Marina. This was THE most Idyllic place! Peaceful. Calm. Friendly. The scenery was fabulous. We spent over an hour sitting on the porch, drinking wine and beer and watching the birds as we listened to Barbie tell us about her buisness Knee Deep Charters. As we watched the Brown Pelicans flying around I wondered if there might be dolphins nearby. Wondered only. Didn’t mention it. After a bit I guess Barbie decided Tor and I were safe enough so she invited us back to her house to see her boat. We were greeted by three of her four dogs. They were all so sweet and lovable! We walked out of the yard out by the boat in the canal. Victoria said ” Do ya’ll every have manatees in here?” and Barbie said ” not this time of year.” Tor told her that my dream was to see a manatee and just as we looked into the water to see what kind of fish were there a 13+ foot manatee came up for air! I have to say I am totally into law of attraction, and this was a FABULOUS manifestation! What were the odds? And if we had stayed at the bar minutes longer it would have been gone! So we took literally hundreds of photos of it then we each layed down on the concrete and petted the manatee. 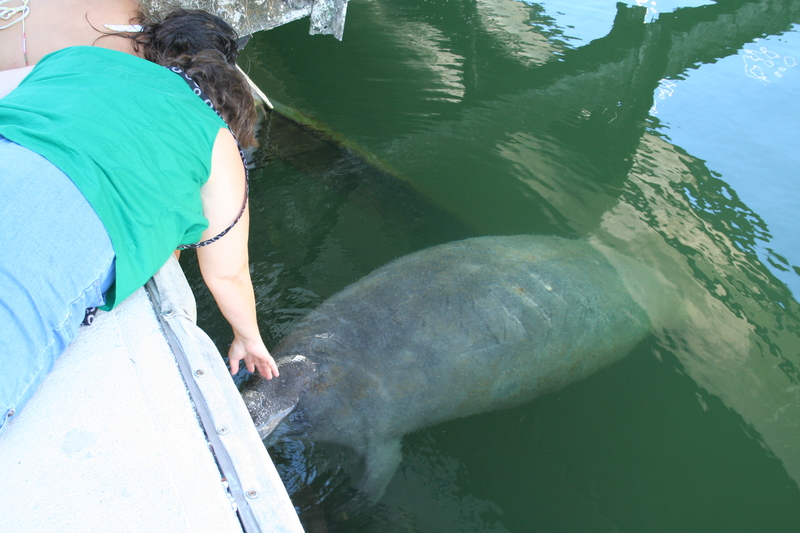 I KNOW you are NOT supposed to do this but how many times am I going to have in this life to pet a wild manatee? The only other time I had seen this was when President Bush Senior was swimming somewhere and feeding them lettuce. I figured if an Ex President could do it so could I. The Manatee came up and LET us pet it! Truly this day could not have been better! This entry was posted in Childhood, Children in Nature, Nature Play, Play in Nature, play outdoors, Preschool, Preschoolers, Uncategorized and tagged children, children and nature, Children and Youth, florida keys, healthy children, key west, kids, kids n nature, Louv, manatee, manatees, nature, nature play, outdoors, Play in nature, Play outdoors, Play outside, playoutdoors, preschool, preschoolers, Richard Louv, Summer fun, things to do with kids. Bookmark the permalink.